i.d.e.a. thrives on teamwork. We have to. As a small, integrated marketing agency, we rely on each other and each department in almost everything we do. To support our culture’s agility, trust and synergy, we plan an annual team-building activity somewhere out of the office to have a change of scenery and focus on each other, instead of work. We also like to have fun! 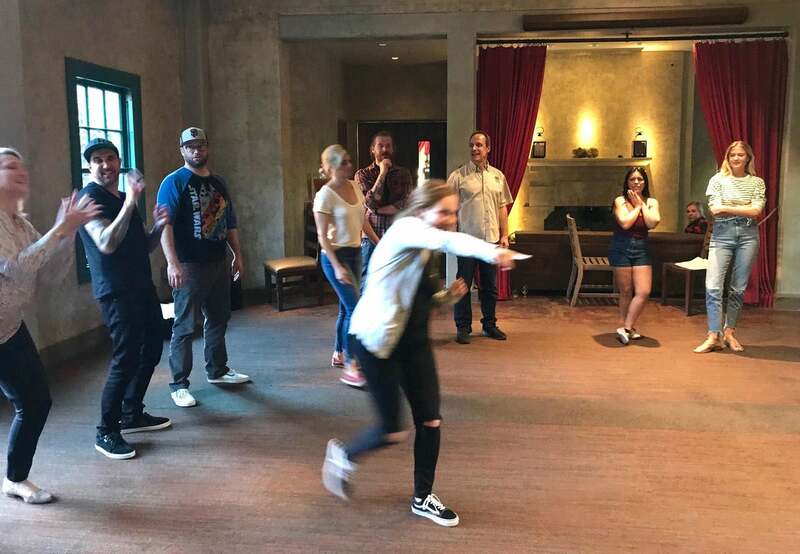 So this year we did a repeat of one of our most popular outings from previous years - we hired an improvisational comedy coach to take us through an afternoon of games and various creative activities to keep us engaged and on our toes. Throughout the session, we acted like elephants, created group art, wrote stories, told jokes and laughed...a lot. The games required quick reactions, partnership...and teamwork. As i.d.e.a.’s HR Director, it was really enjoyable for me to see elements of team member’s personalities I had not noticed before. The time spent together outside of our normal roles and routines also proved how beneficial it is to share time and invest in building trust in one another. We left the session more connected, engaged and nimble. I look forward to what’s to come in 2019...and our next team-building adventure!